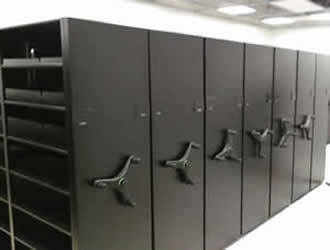 Mobile shelving offers a unique storage solution because it is tailored to fit your needs while increasing your storage capacity by up to 100%. Unlike traditional stationary shelving, mobile shelving eliminates the need for multiple aisles, allowing you to make the most of your valuable space. 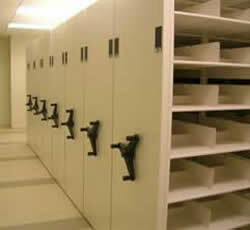 Mobile shelving also offers the option of increased security because the carriages can be locked. 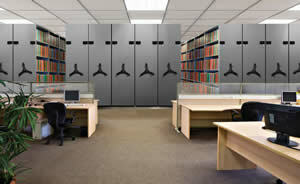 NationWide Shelving has been selling and installing mobile shelving systems since 1997. 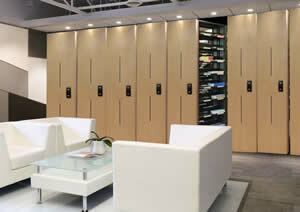 Contact NationWide Shelving today to get started on designing a mobile shelving system that fits your specific needs. 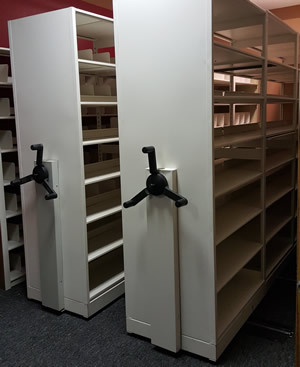 One of our highly trained designers will be happy to assist you with taking measurements of your space, and ensuring that you get as much storage as possible out of your new mobile shelving system. 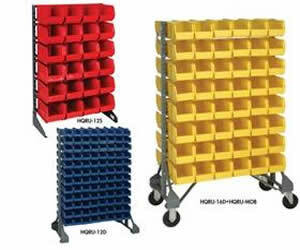 The Three-Sided Mobile Shelf Truck comes in a variety of styles, ranging from three enclosed sides with just a deck, to a deck with two fixed upper shelves. The Bin Divider Truck is great for keeping contents organized, while also easily accessible. The sides and back are enclosed for additional protection and security. The bin divider truck includes a push handle because it increases maneuverability. The High Density Mobile Bin Storage System is a complete workable storage system with rails, racks and/or louvered panels, and panel systems. 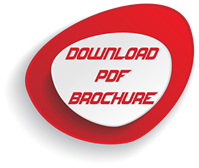 The panels provide the perfect outline to design your own customized bin system. 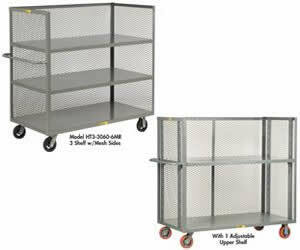 The Mobile Chrome Wire Shelving Carts have excellent maneuvering ability, and come standard with 5” diameter swivel locking casters. 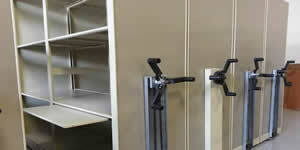 Each shelf is fully adjustable in 1” increments, and requires no special tools to assemble. 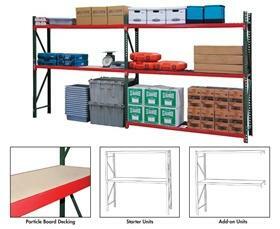 The Mobile Shelf Truck is great resource for rolling loads of parts, cartons, or supplies right to the job site. 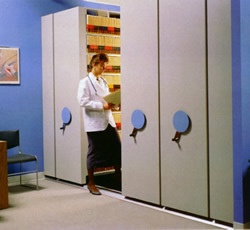 The back and sides can be enclosed for additional protection, or left open for complete and free access. The Open Three-Sided Mobile Bulk Truck comes with a removable drop-gate panel that can be easily lowered to provide easier access while loading or unloading supplies. 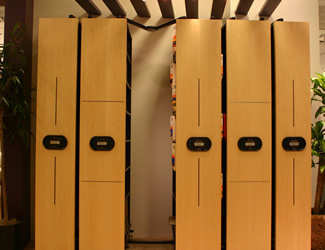 The optional panel can also provide more secure transport or be used for storage. The Multi-Shelf Truck is one of the most easily maneuverable carts, ideal for stock picking, inventory work, or transferring supplies. 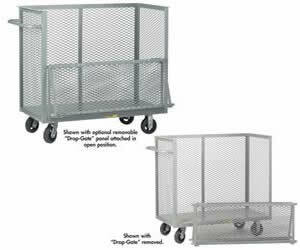 Composed of heavy duty construction features, this cart is designed for daily hard work. 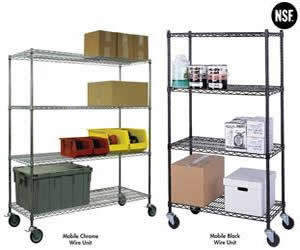 The Multi-Shelf Truck is one of the most easily maneuverable carts, ideal for stock picking, inventory work, or transferring supplies. Composed of heavy duty construction features because this cart is designed for daily hard work. 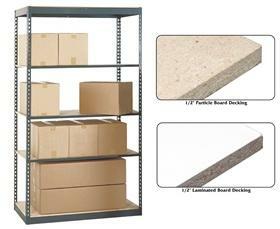 The Tray Shelf Truck is designed to keep small parts and supplies as secure as possible during transport. Each shelf features a 2.25” lip to keep small parts in place, and comes complete with five 18 Gauge tray shelves.